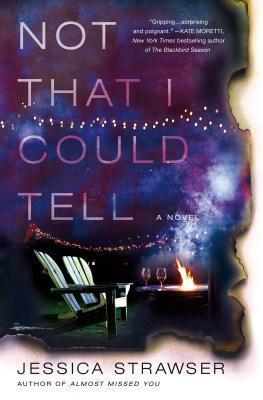 Not That I Could Tell is Jessica Strawser's second book. 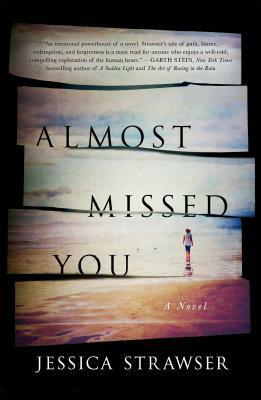 Her first book, Almost Missed You, was really strong and this one is even better - it's a real page-turner. A group of friends gathers around the fire pit in one of their yards for an evening of gossip and wine without husbands and kids (even though all of the mothers have baby monitors in hand). What could be better than this for a group of young over-stressed women? Until the next morning when the police show up at each of their houses to tell them that one of their friends has disappeared. Kristin, the mother of twins and soon-to-be-divorced wife of a doctor has disappeared with the kids and no one has a clue where she is, whether she left voluntarily or was forced. As the tension builds in the neighborhood due to police questioning and the media presence, we learn that each of the women has secrets that she hasn't shared with her friends. I really can't say much about the plot without a spoiler but I will say that this is a wonderful book. The characters are well written and were a great representation of women everywhere. My favorite character was Clara- the mom who tried to look out for everyone in her circle of friends, the woman who was always there when people needed her. Izzie is also very interesting. She is the new person on the block and doesn't have children like the other women. She is basically unsettled in her life but can't get past her depression to make any changes. All of these women are like people we know in our everyday lives. I also thought that the media circus with reporters asking intrusive questions was a good example of what occurs in our 24-hour news cycle where all of the media is trying to get the big story before their competitors. The plot is fantastic and the book is a real page-turner. Don't think you have it all figured out too early in the book because you will be wrong. I highly recommend this one! Do we ever really know the person that we are married to? Violet believes that her marriage to Finn was meant to be, that they were soulmates who met by chance on the beach, lost contact and later met again. As the novel begins, she is sitting on the beach thinking about her perfect love with Finn and their wonderful 3-year-old son Bear. However, her world quickly changes when she goes to their hotel room and Finn and Bear are missing and her life quickly turns into despair and confusion. She calls on her best friend Catalain to help her but is she truly her friend or is she hiding secrets, too? Almost Missed You is a fast-paced novel about trust and love, family and friendship. It's about the search for ideals - ideal family and ideal friendship and finding out that they may not exist in the real world. What connects the entire story is Violet's love for her son. I enjoyed this book and once I started, I had to keep reading to find out why some of the characters make the decisions that they did. There were several instances where I didn't agree with their decisions and I found Violet, through sympathetic, to be very naive. Overall, it's a fantastic debut novel from a new author and I am looking forward to her books in the future.